When waging war on all the nasty things potentially sleeping on, or in, your mattress, a Protect-A-Bed mattress protector is the solution. Come with me as I put Protect-A-Bed through the wringer and reveal JUST what I think about going to sleep knowing those pesky bed bugs (aka dust mites) won’t bite! Protect-A-Bed mattress protectors have earnt their place as the number one top selling brand of mattress protectors worldwide. 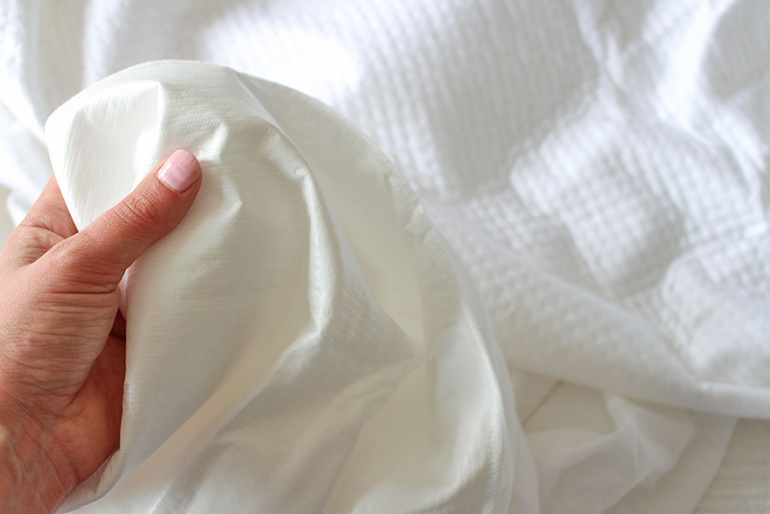 It’s without exaggeration that I say, upon opening the Tencel Signature Series mattress protector, it was love at first sight. If you’re expecting a sweat-inducing, hard, crinkly plastic-like fabric like you usually associate with anything waterproof, prepare to be disappointed. This mattress protector is so soft that I remade my bed in lightening speed to put it to the test. 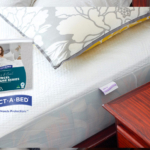 Protect-A-Bed mattress protectors do SO MUCH more than merely protect the mattress fabric. Of course, it stops your pricey mattress from yellowing, but it also provides the HEALTHIEST sleep environment for you and your family. My son and husband suffer with rhinitis, skin allergies, sleeping hot and sweating profusely through the night. Naturally, I’m keen to keep our mattresses protected from all of that not-so-great bodily business. Fancy by name and by nature, Protect-A-Bed’s waterproof Miracle Layer speaks volumes for its quality. It provides the GREATEST peace of mind for families where incontinence or bedwetting is an issue. These mattress protectors also wage war on pesky dust mite allergens, those ones that 30% of us are allergic to, often becoming triggers for asthma and other allergies. 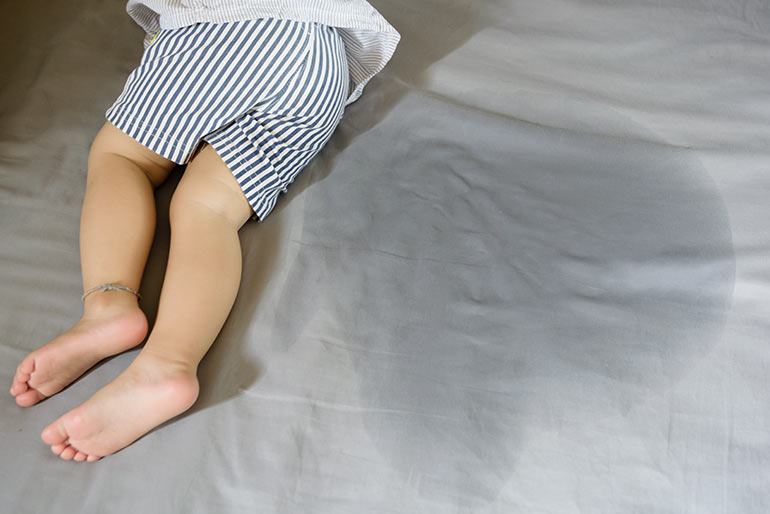 Airborne allergens (pollen caught on sheets dried outside), skin cells, sweat – even the occasional spilled Sunday morning coffee in bed (see the action shot below) are all stopped in their tracks from spoiling the mattress thanks to the magical Miracle Layer. Plus, if you’re a pregnant mama worried about your waters breaking in bed, this’ll work for that too. 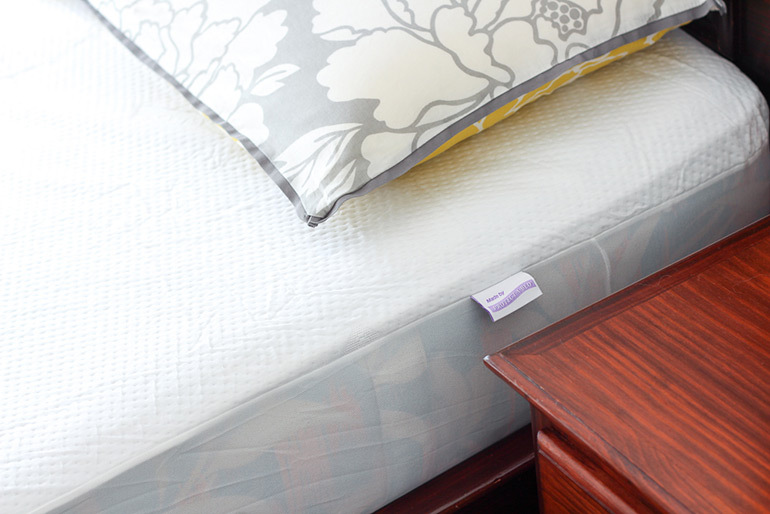 Just like the rest of your bedding, mattress protectors need regular washing too. 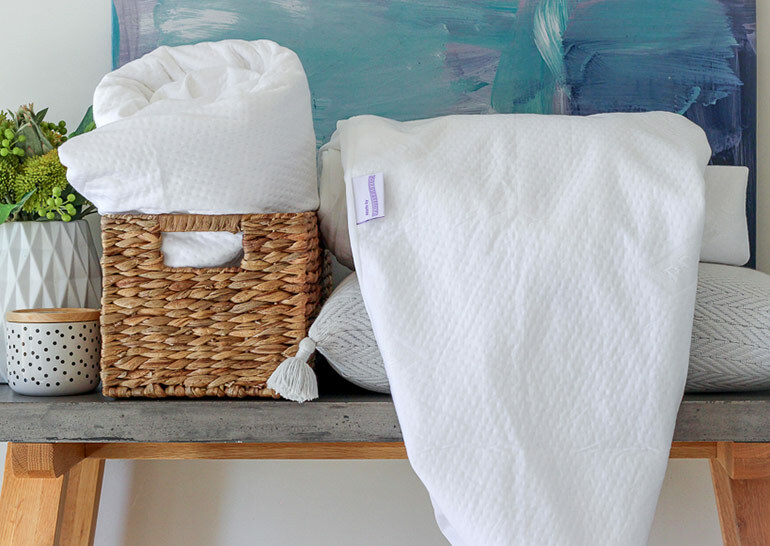 Giving the Protect-a-Bed version a clean and freshen up is as easy as tossing it in the washing machine on a warm wash cycle. Middle of winter? 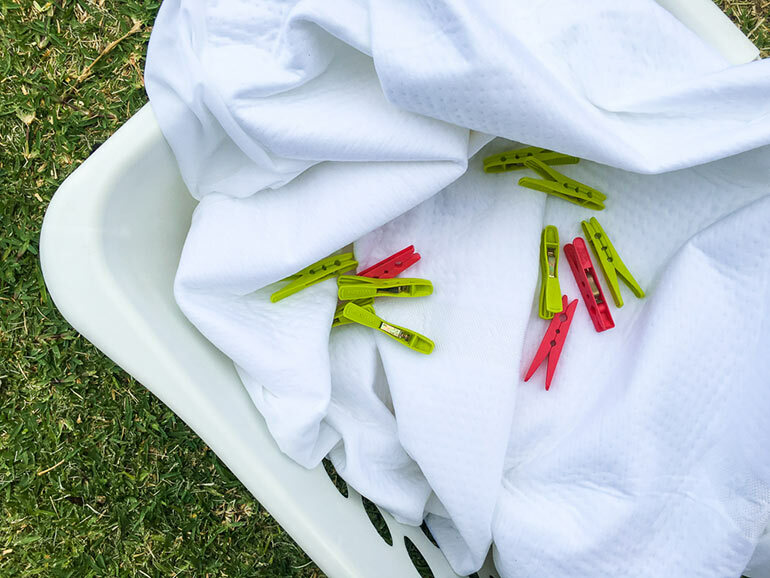 No worries, IT CAN BE TUMBLE DRIED. Side note: The king size is an EASY fit in my 6kg washing machine. More winning. But Which Protect-A-Bed Mattress Protector? It’s entirely up to you – the good news is, ALL Protect-A-Bed mattress protectors have the Miracle Layer. Deep fitted expandable sides will give a nice big protective hug to your mattress – even those of the lush plush pillow top variety. 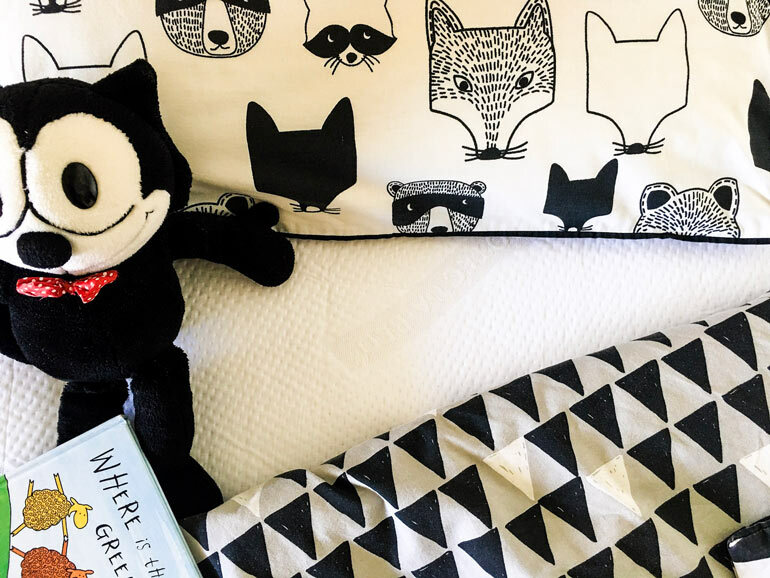 Choose from Staynew Cotton Terry (perfect for bed wetting), Cotton Quilted (luxe padded comfort) and the Tencel Signature Series (ideal for sensitive skin and allergies). Mattress protectors are available in single, XL single, King single, double, queen, king, super king sizes and standard pillow protectors. The price point is family budget friendly, starting at $13.99 for a pillow protector and just $36.99 for a single size mattress protector from the Staynew Cotton Terry range. Safety is paramount to Protect-A-Bed. 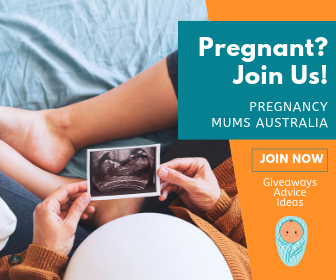 All of their products have National Asthma Council Australia approval and bassinet, cot and single bed sizes also have Red Nose (SIDS and Kids) Foundation’s approval. For those with eczema, you can sleep easy knowing the Tencel Signature Series gets top marks from the Eczema Association for Sensitive Skin. That sure takes some of the sting out of the eczema itch. Keen to Buy a Protect-A-Bed Mattress Protector? Order now and snag BONUS BUY OFFER! 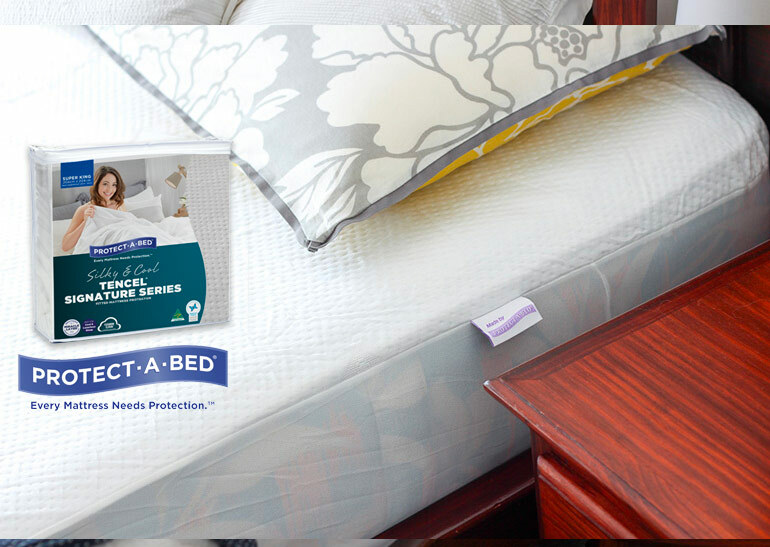 Everyone deserves the pleasure of a good night’s sleep, so take advantage of these three awesome bonus offers when you purchase a mattress protector at Protect-A-Bed. 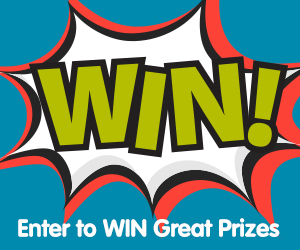 Spend $100 plus and receive a pack of T2 Sleep Tight Loose Leaf Herbal Tea valued at $17. Spend $250 plus and receive a luxe Ecoya candle valued at $42. Or spend $500 plus and receive a Protect-A-Bed Perfect Pillow valued at $69.99. I firmly believe my mattress and Protect-A-Bed are a match meant to be. I love, love, love the super lightweight fitted sheet design and how it hugs the mattress with no trouble. My son loves his Protect-A-Bed just as much. Like many kids, he’s a wriggly, restless sleeper. The fact that this mattress protector doesn’t bunch up under the sheet with all that night-time activity is worthy of a high five and bed jumping in the morning. The Tencel sleep surface has all the softness of what I imagine a dreamy cloud of cotton wool would. Like my son, I don’t feel it AT ALL under my sheets. It doesn’t slip or move around, it’s just THERE being all protective and uber comfortable. So confident I am in the job it’s doing, I’m going to be quick to add the Protect-A-Bed pillow protectors to my collection! This is a sponsored review for Protect-A-Bed. All opinions are those of the writer. Woody and Buzz are Back with Toy Story 4 and We’ve Got the Full Sneak Peek Trailer! This would be fab for my sons bed. He has eczema and an allergy to dust mites. My youngest son has Sensory processing disorder and Autism, so his meals need to be more like a toddler diet. Different variety and full of flavours as each day he can not like the sensation of different textures. It would be great to try these easy pack for him to eat when we come home late after my work. I could see if I can get him to eat veggies and be healthy! This would be perfect for my asthmatic kids. It would be absolutely wonderful to get a night’s sleep without having to sneeze & cough because of all the allergens in my mattress.